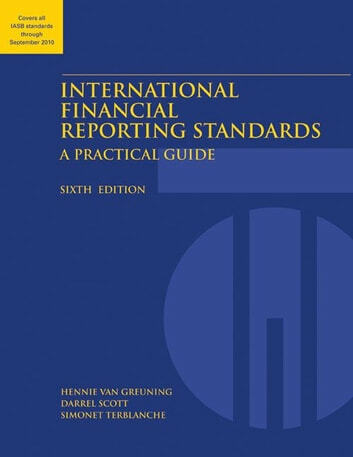 Now in its sixth edition and with previous editions translated into 15 languages this publication gives readers a broad and basic understanding of the key issues for each International Financial Reporting Standard. It summarizes each standard providing a quick reference for managers and executives in the private and public sectors who may not have a strong background in accounting. This edition includes material of potential interest to the financial analyst. Most chapters also contain exercises which illustrate the practical application of key concepts in a particular standard. This provides the non-technical reader with the tools to participate in discussions on the appropriateness or application of a standard in a given situation. The reader can also evaluate the effect that applying a given standard will have on the financial results and position of a division or an entire enterprise. All of the accounting standards issued by the International Accounting Standards Board (IASB) through September 30 2010 are included in this publication.